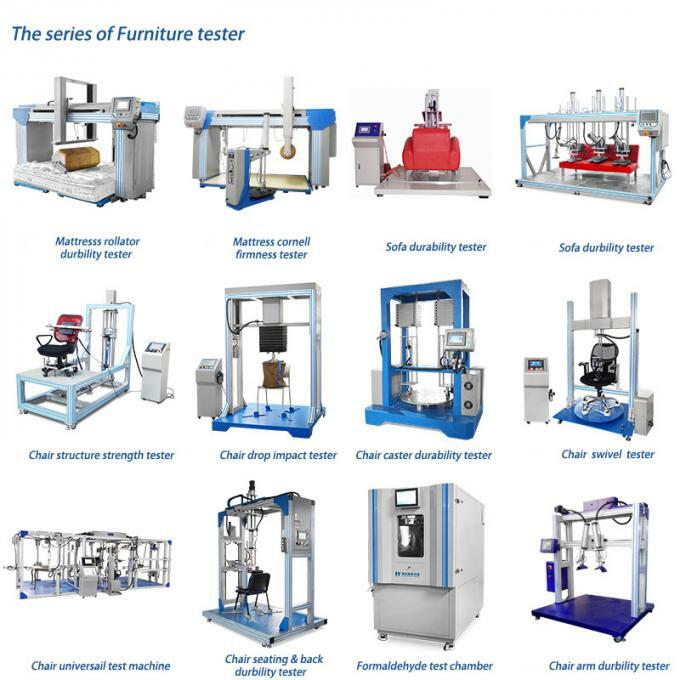 To evaluate the ability of chair base and casters to withstand fatigue stresses and wear caused by moving the chair back and forth. 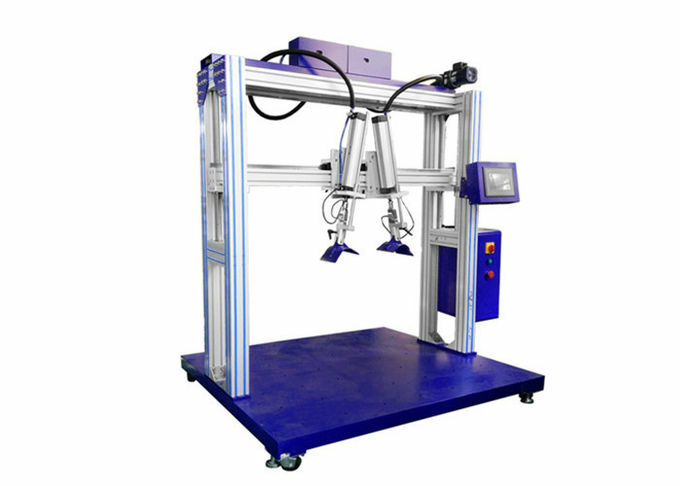 Seat surface to place the weight (113 kg), the holding fixture driven by motor and timing belt move to and fro,in order to assess the the casters of wear life, stroke rate and the number of times can be set. 1.Chair Caster Durability Tester is used to evaluate the quality and wear life of the caster in chair. Q1: Are your company a trading company or factory? 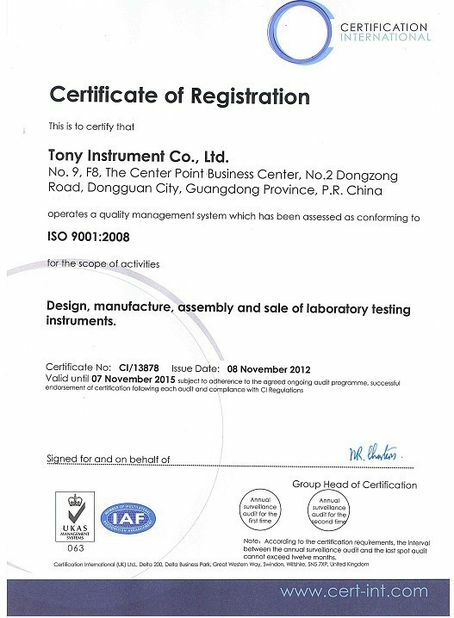 A:Factory + trade (integration), has 11 years focusing on test instruments field, 6 years exporting experience. A:Generally about 10-25days, If we have inventory, we can arrange shipment within 3 days. Please be aware that our production lead times depend on specific items and item quantities. A:T/T,L/C and other payment terms could be negotiated. Q4:What's the warranty and after-sales service? A:12 months warranty. Feedback to you within 24h and help you to repair your problem controller freely, even it's not from our factory. Q5:What the standards do you adopt? 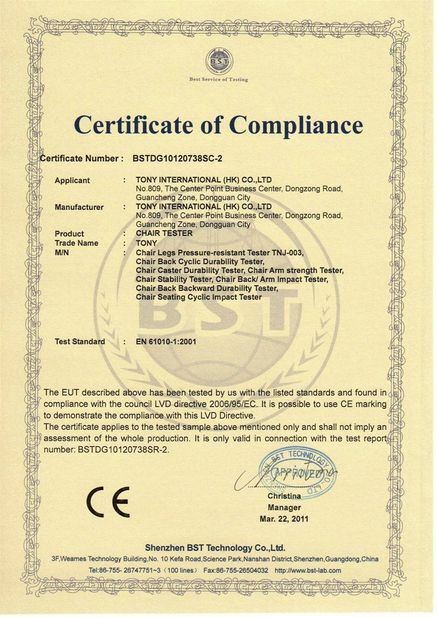 A:We have been adopting the world standards and regulation such as ISO, ASTM, DIN, EN, GB, BS, JIS, ANSI, UL, TAPPI, AATCC, IEC, VDE, and CSA. Q6:What about the product' services and quality? A:Each instruments must be carried out 100% quality examination and test when shipping and delivery goods. Product use training, each of our product provide video training to show you how to install & operate. We can arrange engineer to train the operation of equipment to customer’s company when you need. And our Main clients : SGS, BV and Intertek.